Luis Miguel Gallego Basteri (April 19, 1970), known professionally as Luis Miguel, is a Mexican singer and an icon in Latin America, he is often referred to as El Sol de México (The Sun of Mexico). He is one of the most successful artists in Latin American history, having successfully performed in a wide range of musical styles, including pop, ballads, boleros and mariachi. To date, he has sold over 100 million records worldwide. 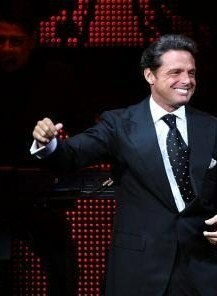 Latin pop music, along with his personal life and showmanship on stage, has made Luis Miguel an icon for nearly his entire career, which started in Mexico in 1981.